B1 Free Archiver is a free multi-platform universal archiver which works on Windows, Mac, Linux and Android. 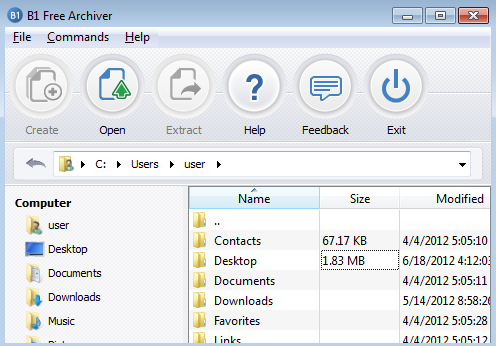 B1 Free Archiver is a free multi-platform universal archiver which works on Windows, Mac and Linux, as well as Android. B1 Archiver supports most popular formats. B1 Archiver is fast, simple and safe. The B1 archive format is an open-source project which offers an open, fast and effective archive format for everyone. In this new format the best known solutions and algorithms are combined with original ideas and discoveries by B1. The B1 archive format brings both amazing speed and a high compression ratio. B1 uses the Apache License, so unlike some other formats B1 is completely free for both personal and commercial use.